Yesterday night we had the chance to finally meet in person Jacopo and Lorenzo from Mellow Mood. It has been great to talk with the guys about their show here at Rototom (they will perform tonight, so a few hours to go ! ), their expectations, their memories from past editions and their plans. Hello Jacopo and Lorenzo, it is so nice to finally meet you guys in person ! I talked with Giulio a few months ago, it was february I think, did anything change since then ? Well, now we play Jazz music ! (laughs) No just kidding ! What changed since then... well mainly our plans, I mean, back in februaryour focus was on the summer tour, now the tour is almost over and we're thinking what to do next. So tomorrow (today) is the big day. How do you feel ? Very well, much more relaxed than usual. This is probably the most important gig of the year so there are alwayz big expectations which can bring some anxiety, but instead this year the feeling is much more relaxed, we're just thrilled to go on stage and play. 12th time ... in Spain the third, but the 12th in Rototom. Since 2006 if we remember well. Of course not always on Main Stage. The 12th ! Really amazing, so we can say that playing at Rototom is like coming home for you ? Absolutely ! We feel like this is our festival, like everything you see is ours . It is like a second home to us. What are your expectations for tomorrow's (today's) gig ? Playing at Rototom is always a bit tricky you know, it is such an important festival. But we only expect good things, good energy, great vibes. We want to make people happy for the couple of hours they'll spend with us and our music. Among the artists playing here this year, with whom would you like to share the stage ? L. Probably with more than one, we can't remember the whole line up ; but for example, if we are not wrong tonight in playing AIDONIA in the Dance Hall stage, well I really like him, what has done this year, the single's he has got out have been all super cool. Defenetely there's more than one with whom we would like to share the stage. Would you like to share with us a Rototom memory, you are especially you are fond of ? 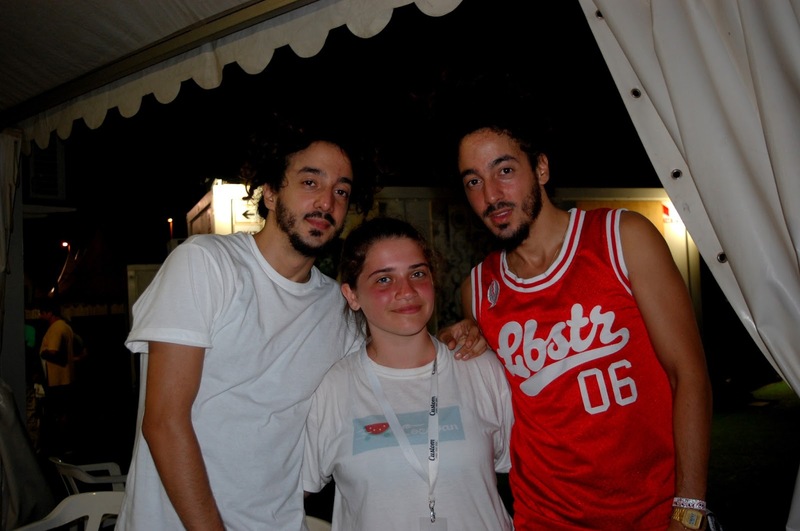 Well for example, in 2009/2010 we won the Reggae Contest and that was the first time we played on Main Stage. That is our great memory. But as we said Rototom is like a second home and it is always wonderful. Last year we didn't come and it felt so strange. It's always great. There are many different reggae festivals in Europe, but this one feels always special to us, with a wondrful atmosphere that you can hardly find anywhere else. Could you anticipate us something about your future projects ? Now we are going to stop and record a new album. This is our projects right now. But we can't say more about it. We hope we'll release it next spring. Thank you so much for this interview, has been amazing to finally meet you and talk to you in person. Keep up the great work you are doing and be always true to yoursefl because you are really amazing. See you up on stage in a few hours ! !